Kuwaiti-owned London Resort Company Holdings (LRCH) has released new images, details and a scale model of the $3.6 billion theme park it is developing in Kent, in Southern England, and which is due to open in 2020. 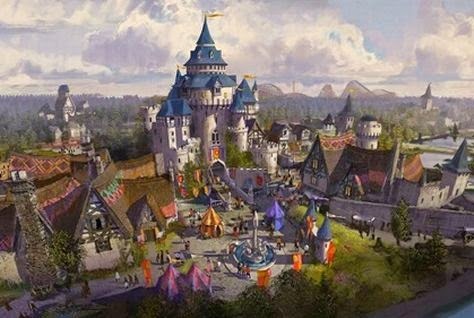 London Paramount Entertainment Resort, which was launched in October 2012 and will be located on an 872-acre brownfield site on Kent’s Swanscombe peninsula, just 17 minutes on the train from Central London, is due to start construction in autumn 2016. Kuwaiti European Holding (KEH) Group bought LRCH two years ago and has been financing the plans ever since. The project was designated as ‘Nationally Significant’ in May 2014 by the UK's Secretary of State for Communities and Local Government. Ahead of submitting for planning permission in winter 2016, LRCH is currently planning a fourth round of consultations with local residents and interest groups. Isn't that so nice of the Kuwaiti company to bring a huge park to England which includes 'Entertainment City' yet we have nothing here and our own local Entertainment City is reported to be closed down. Do we get a discount? We don't have anything like that to look forward to in Kuwait so why not leave and go to England for it.